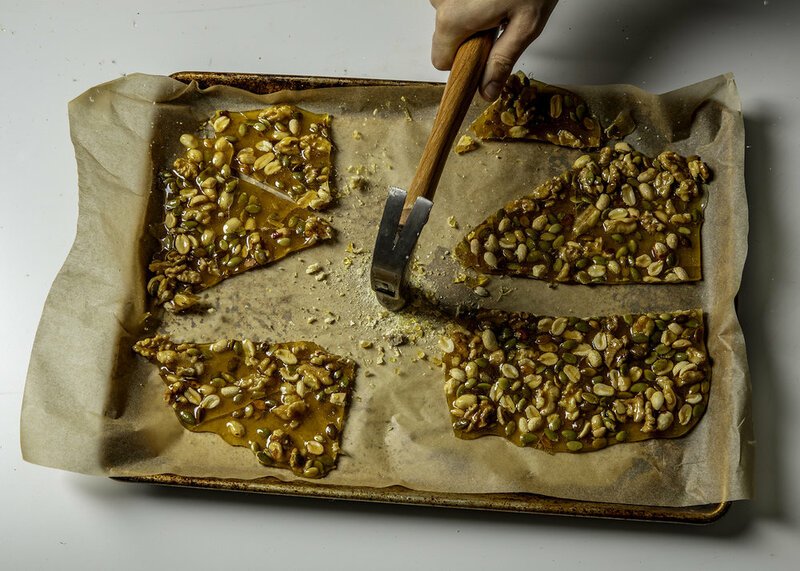 I know some people aren't into brittle but this one is different believe me! Not only is it a lighter recipe but it's also crunchy salty nutty and delicious. With each crunch you can taste the sweetness, nuts, and salt. It is the perfect holiday present for any coworkers, or friends with a sweet tooth on your list. 1. Line a sheet tray with parchment paper. Set aside. 2. In a small pot over medium-high heat, combine sugar, water and agave! Stir until well combined, then let the sugar mixture cook for 15-17 minutes without stirring, until the mixture starts to brown. Then swirl the pan until the mixture is a deep amber color, another minute or two. 3. Immediately remove the pot from the heat, and stir the nuts, and salt into the mixture. 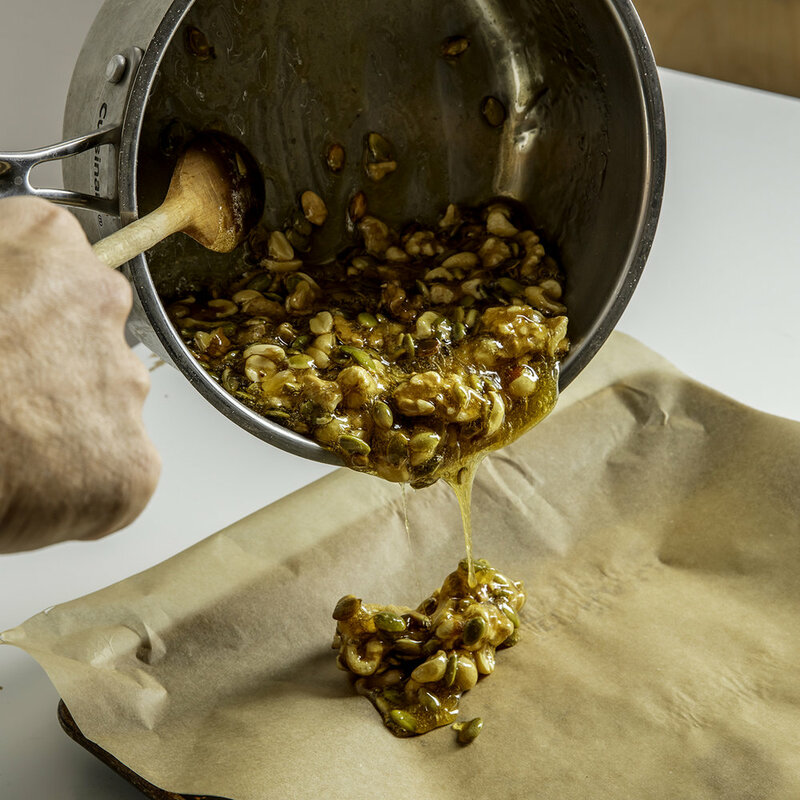 Pour onto parchment paper, spreading out the mixture to make sure that it is an even layer. 4. Let it cool and harden. When ready break it up into small pieces and enjoy! This makes a great gift for coworkers, and friends!